Last week, I got a chance to beta test some awesomely useful smartphone technology. It’s an app that’s called Drizly, which ended up delivering spirits and ice cold beer to where I was within 25 minutes, stat. On the heels of some significant seed funding, they’ve launched today in L.A.. And the official advertised delivery time frame is 20-40 minutes, in which they’ll have your purchased goods to you. That is, whatever you’ve ordered on their app from a total of 2,500 different products. Though they’ve launched in L.A. today, the neighborhoods they specify include “Silverlake [sic], Venice, Westwood, Beverly Hills, Miracle Mile, West Hollywood, Hollywood, Hollywood Hills, Santa Monica, Culver City and Koreatown.” And other areas are expected to come online in the coming days. The rest of you: Hello, refresh button. 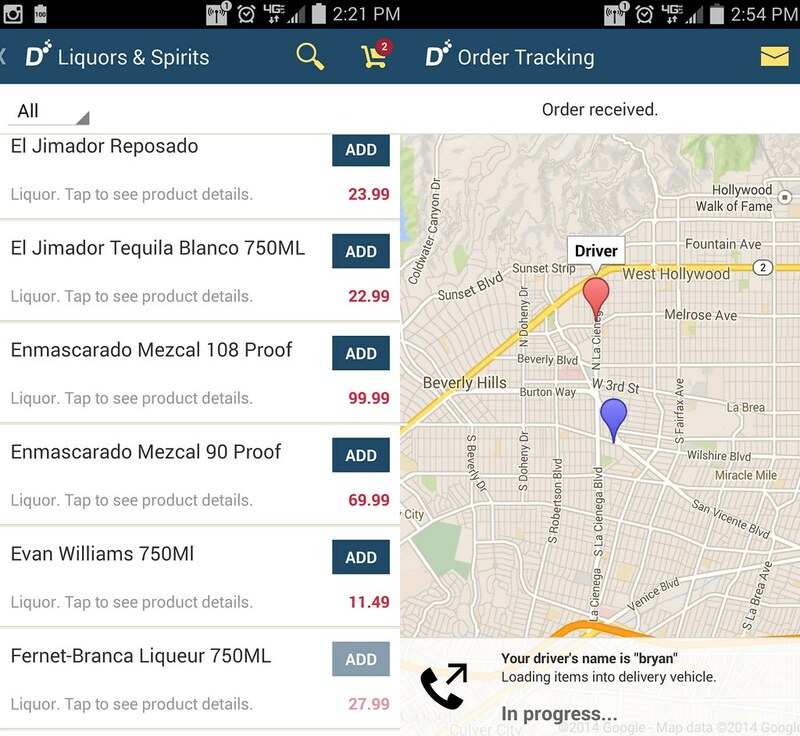 A success in New York and Boston thus far, Drizly aims to become the Amazon of Alcohol. Or, as a Twitter friend @smrtmnky appropriately described, “Uber, but for your liver.” And on that note, who needs to get on the road, when the party comes to you? I threw some beer in my beta test delivery, as well, and it was great to see that both 6-packs arrived ice cold. There were a couple buggy things going on in the app, so be aware that the developers are still working out the kinks (the iPhone app should be more stable than the one for Android as it’s been around longer). Also, it’s great they’re incorporating locally produced inventory, such as beer from Eagle Rock Brewery and Golden Road Brewing, but some spell checks with those breweries needed to happen, which naturally should get ironed out once they get a handle on this territory. The best part? You get a discount code for $10 off your first order by entering “WELCOMELA” upon check-out. The code is good for a month. Drizly’s declared aim is to charge you “regular” liquor store prices without a ton of mark-up despite the service – with a flat delivery fee yet without an additional tip so it gives you the same convenience as the car service apps these days. For what I ordered, I found the prices pretty comparable to what I’ve seen elsewhere, so that’s great. There is a delivery minimum, and it’s $25, which makes sense considering the haul. Happy ordering. Would love to hear back to see what you think after giving Drizly a whirl. Ice cold on either end. Disclosure: I got a $75 credit to test out the use of this app. Code “WELCOMELA” for $10 off until 6/30. 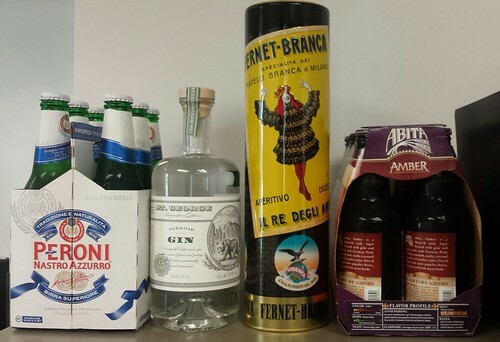 This entry was posted in beer, cocktails, Deals, Happy hour, L.A., wine and tagged Android, app, beer, delivery, discount code, Drizly, iPhone, L.A., liquor, spirits, wine. Bookmark the permalink.